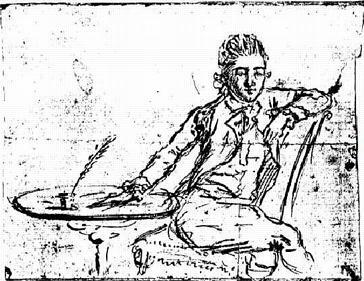 It was in September that Major John André, the British soldier, was captured. André was told three things: first, do not travel by the main roads; second, stay in uniform; and third, do not to miss the boat from the British frigate that had sailed up the Hudson to deliver him near West Point to meet Arnold. André did not follow any of the advice, and then was surprised to find himself arrested as a spy. Though he had requested a gentleman’s death (firing squad), he was hung. The rules of war were quite clear. Had André been arrested in uniform and been convicted as a spy, he would have been shot. 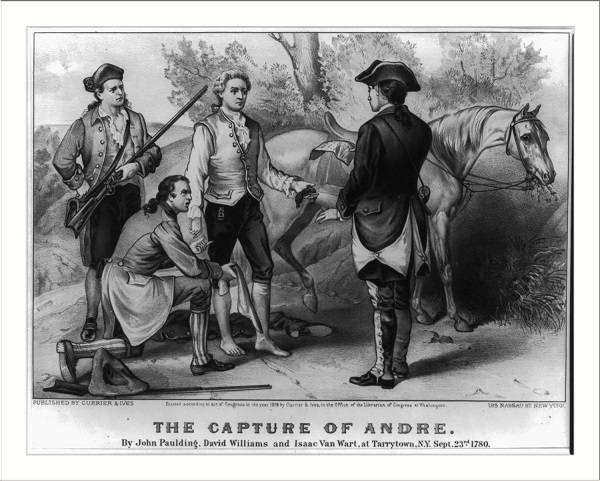 It has been said that André’s execution was a payback for the British execution of Nathan Hale, whom the British executed for being a spy on September 22, 1776 in New York City nearly four years to the day of André’s death. To celebrate the anniversary, the Historical Society had two events: Cookies with André and Wine with André. A local actor played John André at both events. The cookies event was for children, but the audience was mostly adults (five children out of 25), which included myself. Everyone enjoyed the performance, including the children. It is hoped that, with some fine-tuning, that the act can be taken to schools to educate the young on American history. I also heard that the wine event was well-attended.